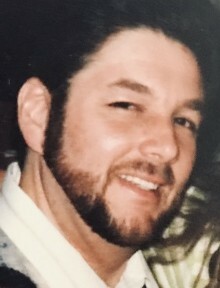 Paul Lozowski, 64, passed away on Thursday, November 29, 2018 at the Beth Israel Deaconess Hospital in Boston beside his family. Paul was born on March 15, 1954 in Lawrence, where he was raised. He attended Lawrence High School for one year, and then Tenney High School, where he played football. Paul married Dotty (Dallaire) Lozowski in 1979, and the two were together for 39 years until his passing. He worked in the sanitation department at Shaw’s warehouse in Methuen for the last 20 years, and was a Methuen resident for the entirety of his adult life. Paul’s hobbies included spending time with his family; He enjoyed watching sporting events and having meaningful conversations with his wife and kids, and also enjoyed spending time with his father over coffee while visiting his mother’s place of rest. He loved Boston sports, most importantly the New England Patriots. Paul also had a love of fishing and a heavy interest in aviation and music. Paul is predeceased by his mother, Mildred (Edwards) Lozowski, and his brother, Carl Lozowski. He is survived by his wife of 39 years, Dotty (Dallaire) Lozowski; his daughter, Melanie Lozowski; his son, Ryan Lozowski; his father, Edmund Lozowski; his brother, John Lozowski and his wife Kathleen; his sister, Janet Reynolds Lozowski; his sisters-in-law, MaryGrace Lozowski, Jean Soucy and her husband Gene, and Helen Moschetto and her husband Chuck, as well as many nieces and nephews.